Whether you manage a single local listing or hundreds, the consistency of your NAP data across the web can either help grow your business, or serve as a barrier to customer discovery. 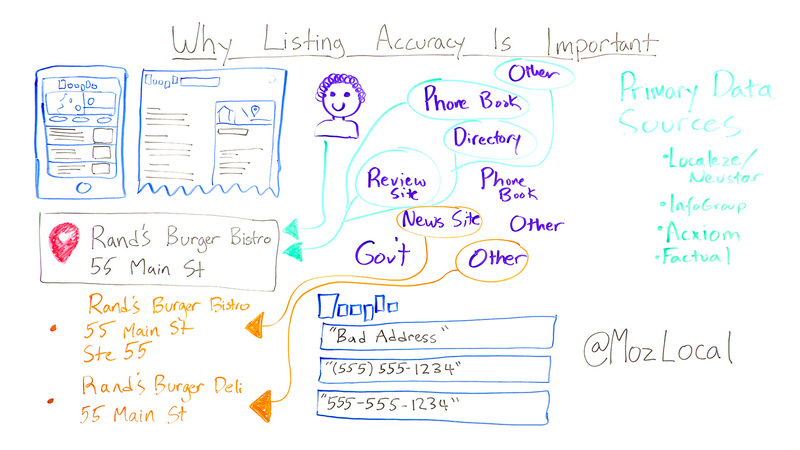 With answers for business owners, SEOs dabbling in local search, and those at enterprise-level searching for a broad solution, Moz Local’s George Freitag stars in this week’s Whiteboard Friday covering all the boons and secrets of listing accuracy (give him a warm welcome, folks! ).